I absolutely love this. Looks real, you don't even see the seams. If you know it's not real you would think it's high end wall paper. 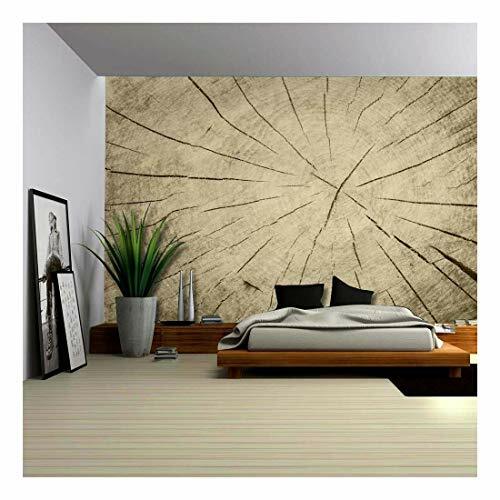 Ordered for my bland apartment walls and my landlord sent me a nasty gram because she thought I had wallpapered the wall. I had to bring her a sample to show her that it's not permanent. Super easy to put up and cut. Would definitely order this again. Looks amazing in my sons nursery. Everyone is always amazed that it isn't real brick. They have to touch it to be sure! Some minor peeling/ lifting around the edges of one of the panels but that is probably because I didn't clean the wall enough before mounting. It leads me to believe that it will be easy to remove when I move (I am in a rental and wanted something that would cause little damage). I am very happy with the purchase and would recommend it. Good product. I got this for free in exchange for my honest review. This wall home decor is really good. These are a great addition to any decor. Great quality and beautiful pictures. They are very easy to put up and won't damage your wall. I received this product at a discount in exchange for my honest review. I have these hanging on a prominent wall in my home and I really do love them. They give the room a different, cool vibe that I love. They came rolled and easily stuck to the wall. I also like that they are easy to remove and re-stick when needed. Come moving time they will probably be thrown away but I know I can always come back to Amazon and buy more from this seller. Great product! I received these wall decals at a discount in exchange for my honest, unbiased feedback. Everyone knows how expensive it is to actually do any type of remodeling to your home so when i saw these i jumped right on it. At first the idea is like " yeah right it probably looks cheap and doesn't look nice".. EHH WRONG. These mural decals actually look like murals lol I honestly had my doubts until i actually got the product in hand and man, my eyes were playing tricks on me! I put these on the wall in the rest room and when my husband came home he asked me how did i do that lol i had to show him that it was a decal because he really that i made the spaces in the wall. overall the product does not look cheap or fake, you honestly can not tell! i received this product at a discounted price in exchange for my honest and unbiased opinion. These vinyl shadowboxes are a great little illusion that add depth and decor to your home. They are easy to install and remove because they are jus stickers! They blend in almost anywhere because they create the illusion that there is a hole there. The colors are vibrant..even the more neutral tones in the photos. I received this product at a discount in exchange for my honest review. Looks beautiful! Came a little bent by overall still works out well! Love it! The pictures are nice. They are on a thick canvas and the prints of them picture are of great quality. I had a really hard time flattening them out though because they came rolled. Unrolling them was a big chore, and I almost left an indent on one of the canvases with all the issues I was having. It took two days of laying them out flat with weights to get the canvases to flatten out. I then framed the canvases, warning they don't come with frames!, with frames I got at the dollar tree and from a yard sale. The pictures turned out great and look like $25 art pieces each, so once I did all the hard work I was pleased with the results. If you can get some cheap frames, and have some patience and don't mind a little work you can make these look really nice for your home or to give as a gift to someone. From a little distance they really look 3D, especially framed which is fun. It almost looks like I made some of those real 3D frame boxes where they have real whole items in a box, so it's kind of fun. If you don't mind the work then I'd recommend the purchase. I received this item at a discount in exchange for my honest review. These decals are actually really pretty! I ended up giving them to my mom because she has a beachy/oceanside theme in her bathroom that these would go perfect with. She also really liked them and thought they were super cute! The picture is great quality on each of the decals and they stick very well to a painted all. They don't sweat off or curl or anything. They are great quality decals and I would recommend this to anyone looking for cute and durable decals.